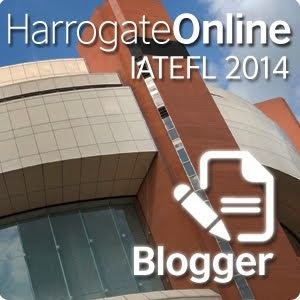 This year registered bloggers of IATEFL 2014 started a "chain reaction" blog challenge. It was started by Adam Simpson and aims at getting to know the people who are going to blog about the event this year. 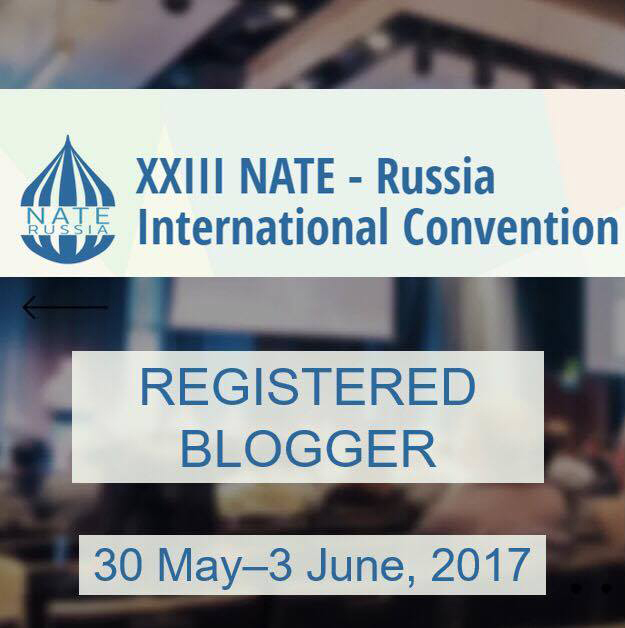 He chose to interview several registered bloggers and introduced them on his blog. In turn those bloggers chose other ones to be interviewed and introduced on their blogs. I had the honour to be interviewed by Gabrielle Jones, who was the moderator of the online course "Devceloping Business English Teacher" which I took in January this year at Electronic Village online. In my turn I would like to introduce Sylvia Giunan , who kindly agreed to answer my questions. Sylvia is a very creative professional and so she changed the questions a little bit to fit her situation better. Thank you very much, Sylvia. I'm a teacher from Ireland who lives in Greece. I have four bilingual children. My background is in English Literature and I specialised in ELT after travelling and settling abroad. I've been teaching for almost twenty years. I decided to teach online after my twins were born as I knew that my teaching life would never be the same again. 2. 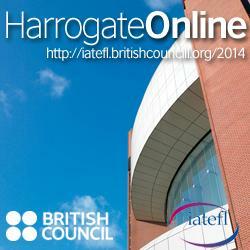 Could you tell us why you are interested in blogging for IATEFL Harrogate? I have many reasons to be interested in this. 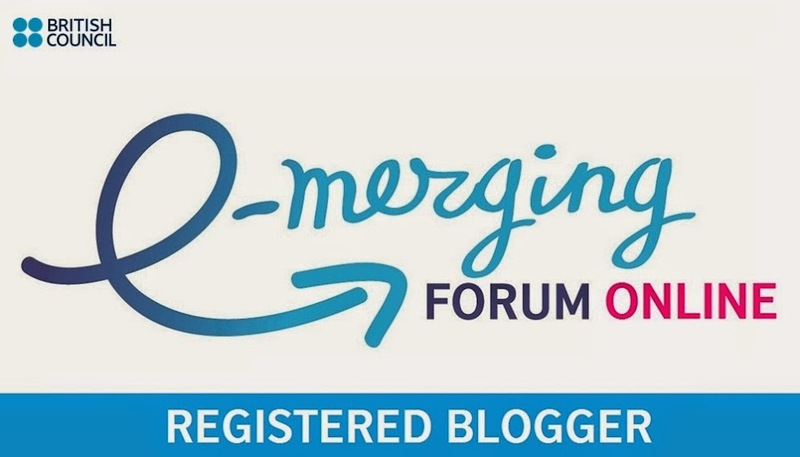 The practical reason is that I can't just hop on a plane to attend such events as my kids need me, so being an online registered blogger is my way of connecting from home. Other reasons are my love of blogging, and the excitement of learning from the online coverage. I find that blogging about what we learn deepens the experience considerably. I also have a kind of reporter instinct and often interview other teachers, review their books or write about what they are up to. Finally, I believe that the British Council does a great job in bridging the gap between traditional learning and online education. I appreciate that a lot as more and more teachers are getting access to professional development online. 3.What areas of the conference are you interested in?All of the live plenaries have specialised in important issues that affect my practical working life. As an online teacher I see socio-linguistics and the globalisation of language as an issue that concerns many teachers around the world, and one that is fraught with myths and misconceptions. David Graddol's talk on English and economic development should be an eye-opener. Kathleen Graves is discussing a topic close to my heart - curriculum planning and it's 'ecology'. I'm very interested in creative material design and the idea of nurturing the emotional development of students for deeper learning purposes, so I feel that her coverage of evolution and the learning environment will be fascinating. I certainly cannot resist Michael Hoey's topic of 'new perspectives' or Jackie Kay's 'the imagined land'. As a teacher who views learning through the eclectic prisms of psychology and the arts, I see these two topics as being crucial to bringing creativity back into the classroom. Finally, Sugata Mitra is a legend in online teaching circles and the future of learning is THE issue for online teachers who work independently on the cutting-edge of education and technology. 4. How can your blog coverage benefit people?I think it's important for people to be able to catch the live-streamed events which will be embedded in my blog and shared all over educational social networks. They will also have a chance to critically consider the significance of the events and topics through the lens of a reporter who works on the cutting-edge and enjoys indepth analysis. I'm looking forward to the experience of following everything from afar as I can't be there myself. I also enjoy what we are doing right now - which is connecting with each other through blog challenges. Adam Simpson, who started the challenge, is an educator I greatly admire. I think that we are playing an important role in helping professional development to thrive online where everyone can access the the speeches of leaders in the field. 7. 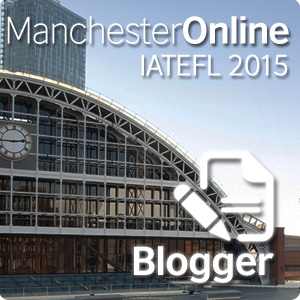 Why did you sign up as an IATEFL registered blogger? Apart from that I write guest articles for other blogs and organisations, including the British Council. 6. What other aspects of the conference are you looking forward to? I wanted to be a part of this great event and do my bit as an online educator. As a very busy mother, the only way I work and connect these days is online. This may also be a stepping stone towards the future when I'll be able to travel more and experience the best of both worlds. Great to meet you Sylvia! The idea of online teaching in your circumstances is sooo inspiring, I'm sure lots of female teachers are encouraged to try the same now! Thank you for this interview Elena, and where can we see the one with you?